Right now on Amazon you can Save 30% on Adult Coloring Books from Crayola! Some great books to choose from. Coloring is said to be a great stress reliever for adults! 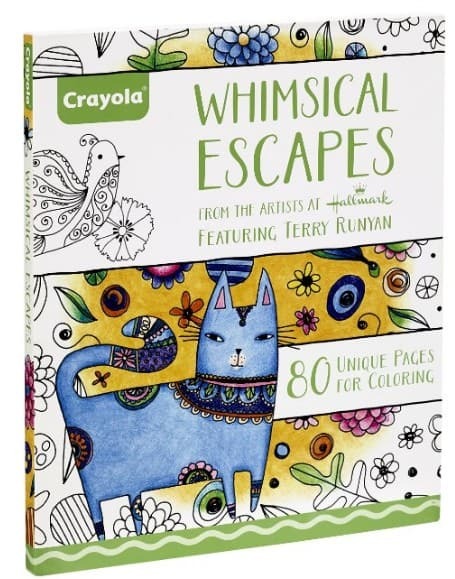 Crayola offers soothing scenes for adults – and kids alike to color. Lose yourself in a complex-but-relaxing coloring art activity with these fun, cheerful & colorful images. Includes 80 detailed designs by Hallmark artists on high-quality paper. Perforated for easy tear out and framing.